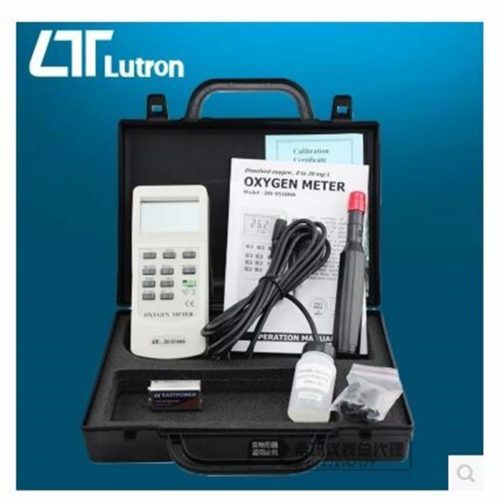 Dissolved Oxygen(DO),Oxygen in air(O2) & Temp. measurement. 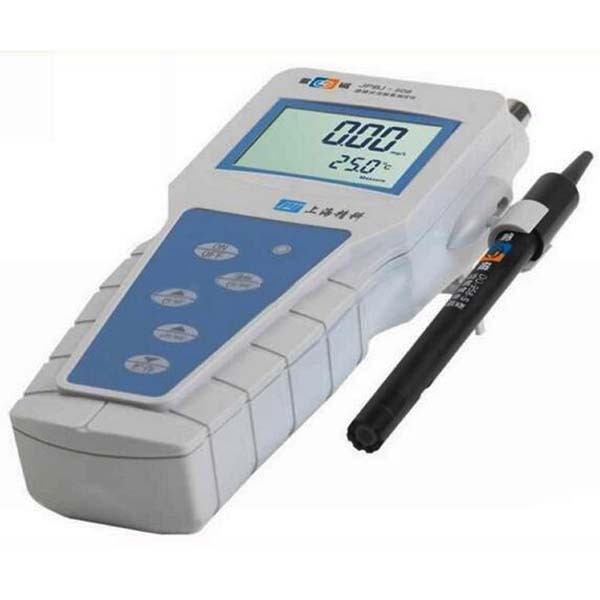 *Heavy duty dissolved oxygen probe,probe head can connect with BOD bottle. *Automatic Temp. compensation from 0-50 Centidegree sensor probe. *Build in “”%SALT”” & “”Mountain Height”” compensation adjustment button. *Microprocessor circuit assures high accuracy and provides special functions and features. *Multi-display,show oxygen & Temp. at the same time. 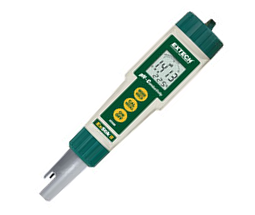 *Records Maximum,Minimum and average readings with RECALL, data hold. *Auto power off saves battery life.Powered by 006P DC 9V battery. *Build in temperature, F degree measurement. *Use the durable, long-lasting components, including a heavy duty & compact ABS- plastic housing case. *Circuit: Custom one-chip of microprocessor LSI circuit. 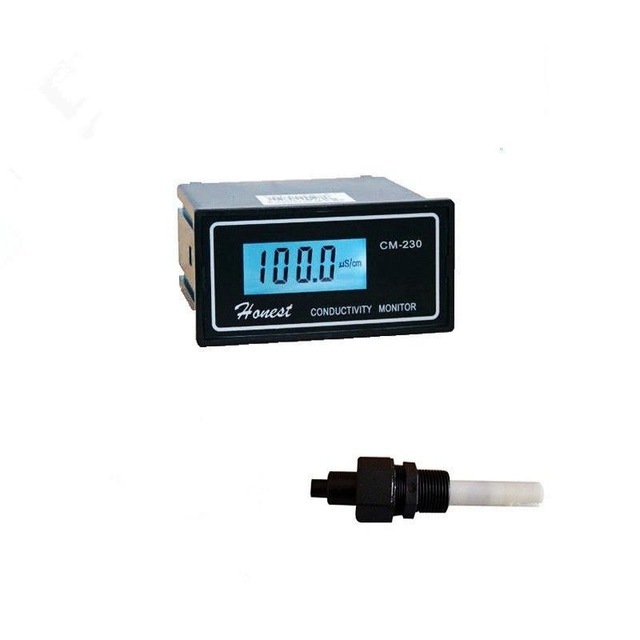 *Display: Dual function meter’s display, 13 mm(0.5″”). 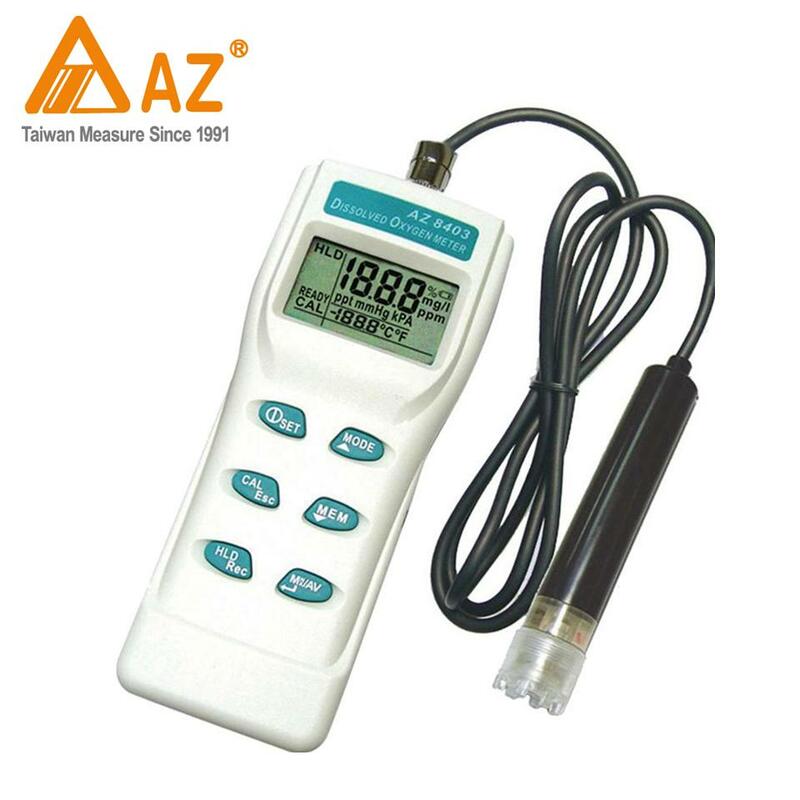 Super larger LCD display with contrast adjustment for best viewing angle. *Sensor Structure: The polarographic type oxygen probe with an incorporated temperature sensor. Probe Compensation & Adj. *Power off: Auto power off saves battery life,or manual off by push button. *Operating Humidity: Max. 80% RH. *Power Supply: 006P DC 9V battery(Heavy duty type). *Power Current: Approx. DC6.6 mA.